A bridge is the dental term for a fixed dental prosthesis in which at least two teeth are fitted with a crown and then connected with one or two links. 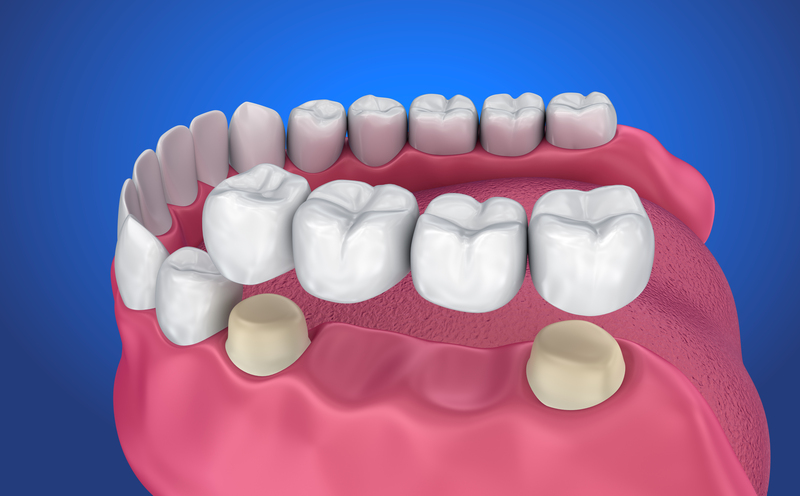 Dental bridges are designed to fill the space left by a missing tooth or teeth, bridging the gap discreetly and blending with natural teeth, which usually supports the bridge. Dental bridges are made from ceramics or porcelain fused to metal, so they function like real teeth as well to ensure comfort and confidence. Prevent your remaining teeth from shifting into misalignment. We recommend you replace missing teeth as soon as possible to prevent the surrounding teeth shifting out of place, which may cause future problems with your bite. The made-to-measure bridges are created in a dental lab using cutting-edge technology ensuring a comfortable fit. Fear of dental work is common, with that in mind, our dentists offer a standard anaesthetic, like the one administered before receiving a filling, which increases patient comfort. If you are interested in bridging your gaps, contact us to arrange a consultation.